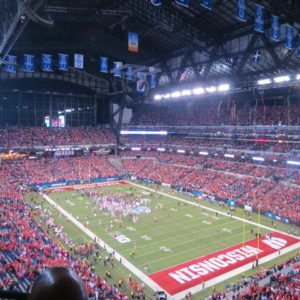 Bars and restaurants flooded with red prior to kickoff in downtown Indianapolis. The Badgers and Buckeyes were also battling on the basketball court and every television had that game on, which only stoked the flames between these two foes. 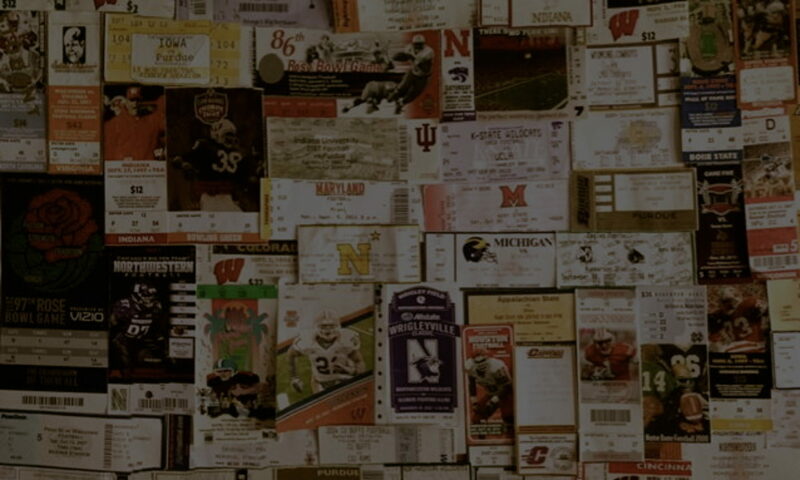 Rarely does Wisconsin find themselves in contention for a national title. 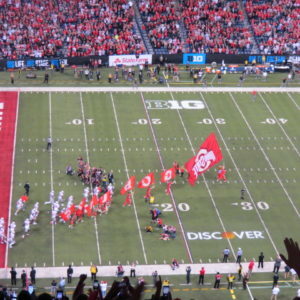 For Ohio State, this is familiar territory. It is possible that nerves caught up with the Badgers today. 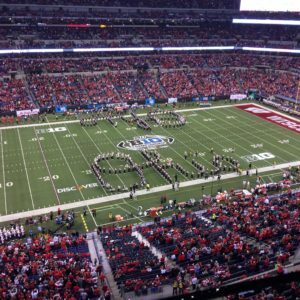 Wisconsin likely played their least impressive game of the season, which did not look pretty against the talented Buckeyes. Despite woeful offensive production, the Badgers’ defense kept them in this one up until the last drive. 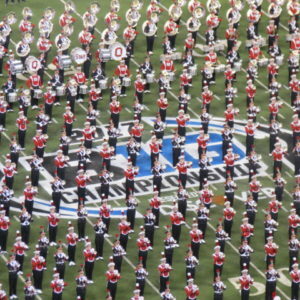 But, Ohio State found a way – something that they are astoundingly good at. 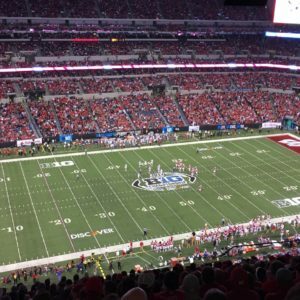 2017 – Wisconsin loses their playoff hopes in close loss to Ohio State. 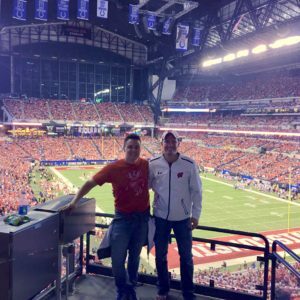 2016 – Wisconsin loses a tight title game to Penn State. 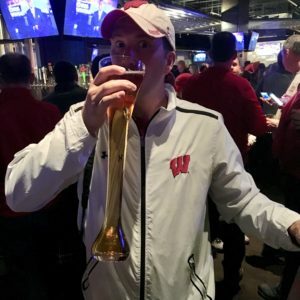 2015 – Wisconsin blows a 9 point lead to lose to Duke in the basketball national championship. 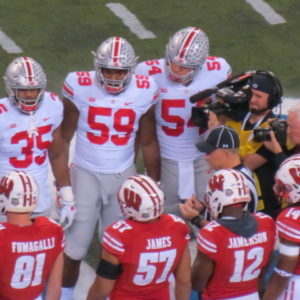 2014 – Wisconsin looks ugly in a 59-0 Big Ten title loss to Ohio State. 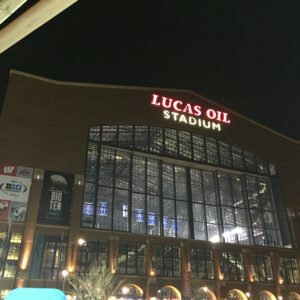 Neither the Badgers and Buckeyes made the playoff this season, but both have chances to finish the year with a win in a major bowl game – a chance to redeem and prove their worth in the national conversation.